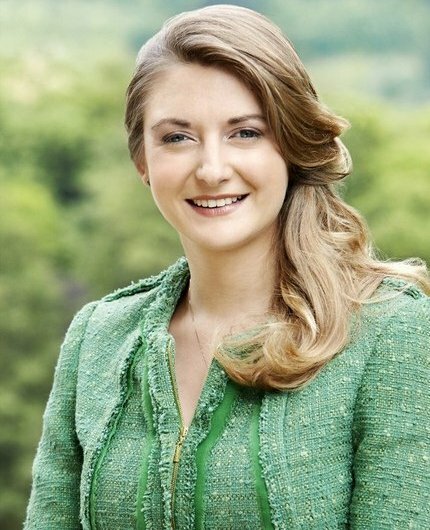 Today is February 18 and birthday of Stephanie, Hereditary Grand Duchess of Luxembourg. Before her birthday, Grand Duchess gave two different interviews to French magazine Point de Vue and Luxembourg newspaper Telecran. 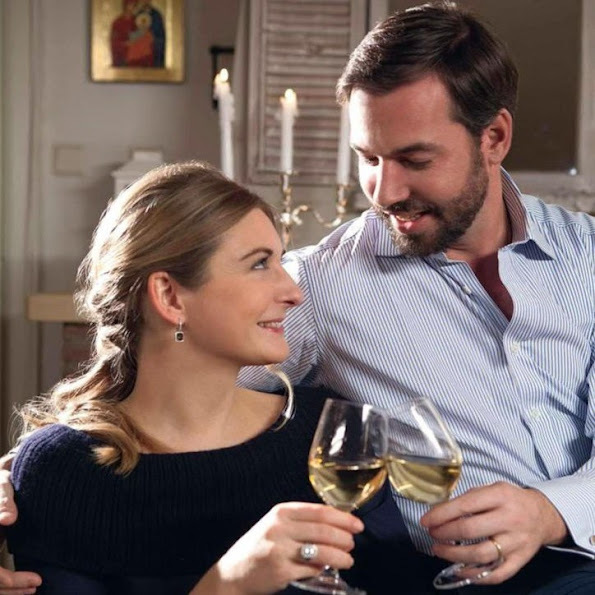 Crown Grand Duchess Stephanie answered the questions of the reporters about her childhood, first years of her Luxembourg life and her love in Prince Guillaume. 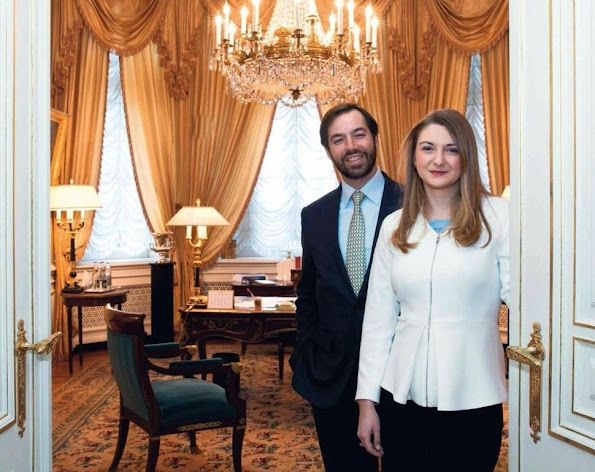 In 2012, you became part of Luxembourg Grand Duke family. Within three years, you adapted to that new life, how did you succeed in that? That was a very important step for me. I am not a person who can adapt easily. Even on the first days of my marriage, I began to feel like a hereditary Grand Duchess and that became a part of me. Of course, I knew that I will have many duties that I am not used to when I marry a Prince but I could not realize exactly what these duties will be. Since that time, I learned a lot of new things but above all, I learned a lot about myself. Now, I feel like at home in Luxembourg. You became the president of MUDAM (Grand Duke Jean Modern Art Museum) recently. 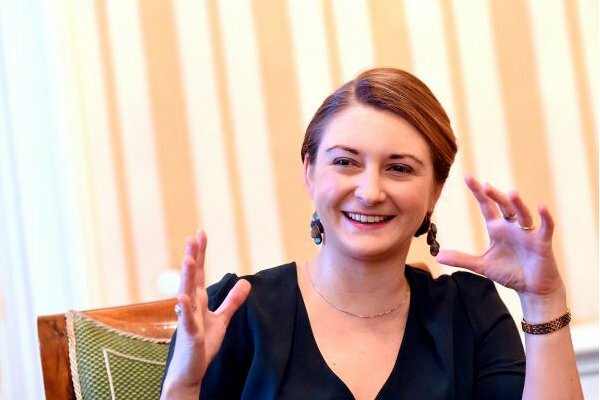 How do you see your role as the president? It is a big honor for me to be the president of MUDAM. That museum is known as a part of Luxembourg culture and has a big team including experienced directors and specialists. For this reason, I am sure that I will be successful. In early February, you visited Picasso and Lucien Clergue exhibitions in Paris. Can we say that "culture and art" are among your priorities? I always had a big interest in art. As you know, there is Luxembourg Museum Friends Association (et d'Histoire Lüksemburg Les Amis des Musees d'Art) which is under my patronage. When I get married, I gave heed to everything about the culture and customs of Grand Dukedom. For that reason, the first impulse for me was to participate in the Luxembourg museum actively. Luxembourg is a country with rich culture and there is an interesting and unique collection in the museum. What kind of a role does music play in your new life? My family gave importance to music education and all of my sisters and brothers received a music education. My family chose piano but I preferred violin and began to play violin, this is my choice. I love violin and music is still a part of my life, I can't think a life without music. What do you think about the values and information that your family transferred to you? My family has always been a role model for me. They taught me to take responsibility. I appreciate them a lot for the legacy they left me. I was born in Belgium. My family has always took part in the local community life, my father became the president, my mother established a village library. Thanks to them, I realized how valuable responsibility is. How can you define your husband with a few words? Guillaume is very attentive to me, always listens to what I say and I know he will understand me very well. Guillaume easily finds a common language with others and succeeds in putting people together. And that is a very rare talent that can be found in people. In addition to that, we both love music a lot despite different likings. I feel very lucky for I married him. Regarding the reporter's question about being a mother, she replied "I am very happy with the moments I spend with my husband, there isn't a plan about being a mother yet". 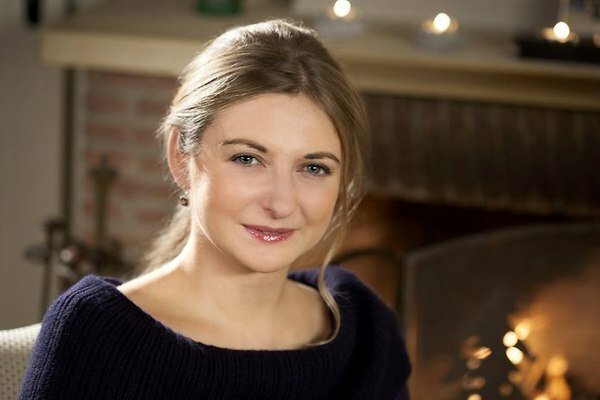 Hereditary Grand Duchess Stephanie of Luxembourg was born on February 18, 1984 and she is the wife of Hereditary Grand Duke Guillaume who is the inheritor of Luxembourg throne. Happy 32nd birthday to you Princess Stephanie. A beautiful and special woman! Congratulations to a very beautiful women. Wahrscheinlich kann sie eh keine Kinder bekommen - sie ist nun schon 32. Are you making fun or is this a trivial statement? Ja, irgendwie glaube ich das auch immer mehr (das es schwierig für sie ist schwanger zu werden). Die beiden sind nun schon ein paar Jahre verheiratet und Luxembourg ist ja nun auch nicht sooo groß, dass sie vor lauter Arbeit und Repräsentation nicht zum Kinderkriegen kommen. Anon 18.2.16 at 10:40pm: Is women's health very poor in your country? In western nations, it is very rare for a woman to be "too old" --i.e. menopausal -- at age 32. In 2013, the mean age of women in Luxembourg at birth of their first child was 30.0 years. So Stephanie's timing of (potential) parenthood is bang-on typical of her generation of Luxembourgers. It's almost not worth a comment. A24-45 the problem with waiting to have children until you are in your thirties is that you may not be able to get pregnant. After 30 you have cut your chance to get pregnant in half after 35 is really downhill. Why do you think so many women needs help. Our biological body's are the same as a woman under the stone age, but since we live in the technological world we do we think we're different and can get pregnant when we want. But that's not the case and a lot of women learn that the hard way. So in this case with S it's obviously because they have a problem. Hopefully they will get there in the end. Anon 19.2.16 at 4:26pm: You make a good point -- everything you say about the risks of later parenthood is true; and I would hope that the ducal couple is well informed of those risks. However, it is by no means "obvious" that the couple is having a problem conceiving. Only their doctor could know that. I am not trying to say that you are mistaken for assuming that Stephanie was trying to cover up something in her reply in the interview about her plans for children. What I am saying, is that we can’t know what is really going on in her private life. It’s all just guesswork on our part. There is another interpretation of Stephanie’s answer, which is just as likely – i.e. that she is telling the truth, and is deferring childbearing as an unforced choice. If her friends of the same age are following the national childbearing trend I mentioned in my earlier comment, Stephanie would not feel out of step with her peer group. She might even feel that she is making a quite a conventional, normal choice for a thirty-something woman of today. Of course, I hope Stephanie is one of the lucky ones who would rate as “low risk”. I do hope that fertility is not now, nor will ever be, a problem for this engaging couple; and wish them every success. The first pic is very sweet. She is not a stunning beauty, but lovely and sweet. Her face shows hardly expression, would like to see a little life . Why it's not allowed to say she is not beautiful in this blog?!!! Because only Saint Mary is beautiful in this blog!!! Happy Birthday Beautiful Princess Stephanie!!! There is nothing wrong with having class and come from nobility. Because she isn't. She is a lovely and sweet girl, but we can be that honest. She is not a beauty, but that doesn't mean she is ugly either. If this was the girl next door we would say she was common and ordinary. But the first picture was a hit! The others show her more the way we see her the rest of the time. Agree with Anon 2:44 AM. Jealousy and carelessness are diseases and we all are responsible if we will see them appearing. Mary is beautiful. Don't brag her about everything in this blog!!! She's got her own life ans doesn't need you to get recognised as one of the most classiest out there. Stéphanie might not be a stunner in some people's eyes but she irradiates with intelligence, warm and class in my opinion. I wish her the best, she seems to be a very lovely lady. Omg, the first and last pics are gorgeous. She can look very beautiful! The first 2 pics are badly photoshopped! She reminds me of a young Mathilde. Discreetly elegant and classy. Good for her in not feeling pressured to have a baby! Perfectly beautiful, and such a grace about her. I like the 1st photo, she looks so beautiful and young there. I think that she should try shoulder length haircuts for a change. I think she is a sweet,smart and lovely lady! If she was dressing a little bit more fashionable, younger and spontaneously, she could be my favourite princess (or whatever she is called). I realy like her face and she looks a bit like me to be honest ha ha (that's why all this probably hi hi). "There are no plans being a mother yet"
Nah, a friend of mine said the same we hen asked about children. Alternatively: Not ready yet. Happy without children for the moment. No need to hurry such things. Happy to be just the two of us for the moment. But I knew she was undergoing heavy fertility treatment during that time. So saying she doesn't want to have kids right now doesn't necessarily mean so. But fertility treatment is bad, heavy, sad, rough and tough for a couple. I pray they really want do enjoy their young marriage first and that they won't need medical help. She is so cute. Well, they can enjoy their marriage with kids, they're not Mr and Mrs Nextdoor with 8 to 5 jobs and without any help for their household. They have an army of staff including nannies. All the other young royal couples enjoyed their married life and had their first kid within 2 years after the marriage. What a goody-goody interview. It's quite impressive how one can use so many words without saying anything. Stephanie said she doesn't adapt to change easily, perhaps she is waiting until she feels comfortable in her role until she becomes pregnant. I always got the impression that she was taking her time to adapt to her new role, and I think it is nice that she and her husband are having time together as a couple rather than rushing into parenthood. Stephanie might be having difficulties falling pregnant, but if she is, that is her and her husbands business. Why do still so many people automatically blame the women in cases of (so far) childless marriages? Guillaume can as well be sterile.